King of the fruiting mulberries producing 3½  to 5 long maroon to black berries. Very sweet and flavorful with a raspberry like flavor. Multi-month long fruiting season starting heavy in late spring/early summer and continuing to fruit until mid summer. 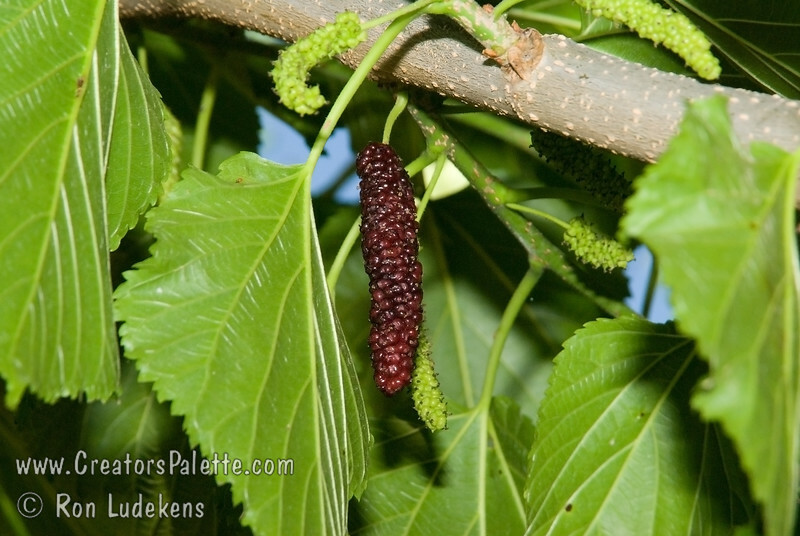 Mulberry trees in general are drought tolerant and forgiving of poor soils and tough urban conditions. Not recommended to plant over driveways and walkways due to fruit drop. Mature height is 40-50 feet with a spread of 40-45 feet. Cold hardy to U.S.D.A. Zone 7 and maybe 6.